Oh, how I wish to be back in Amsterdam. 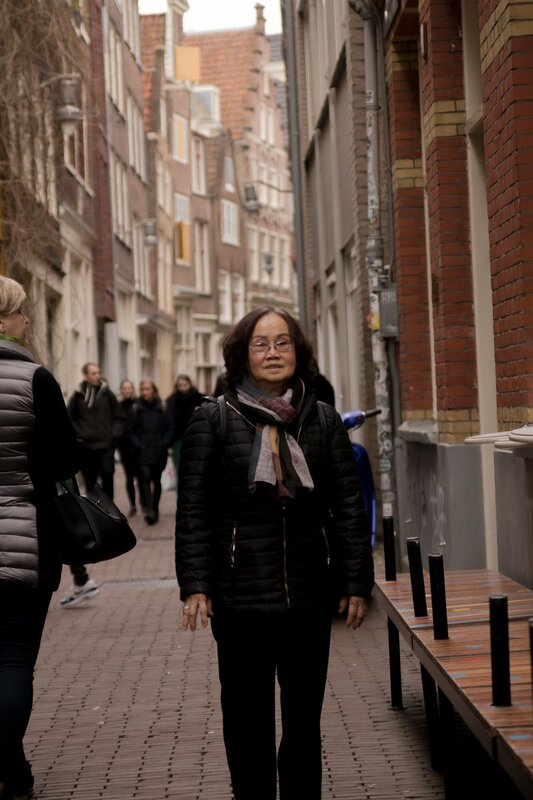 The five days in Amsterdam was far from enough as we strolled through the endless streets and alleys, taking in all the spectacular architecture of the old town. While I would've wanted to do more for the next trip, I did get to explore few things during the 5 days. 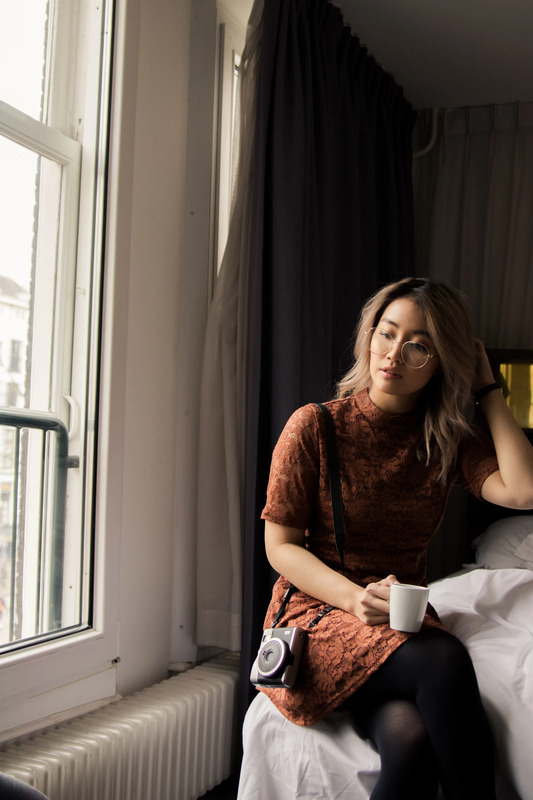 Here's my city guide to Amsterdam! Amsterdam is quite big and many canals run through it. 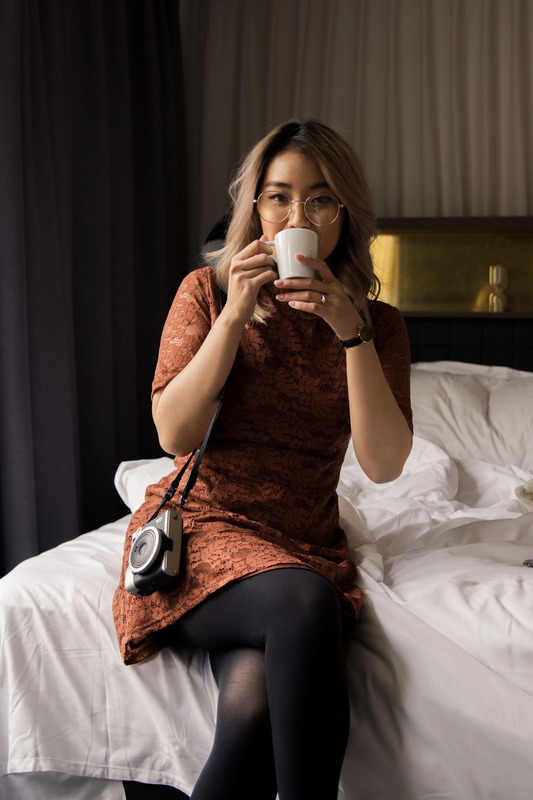 We stayed at the INK Amsterdam Hotel, just 10-15 minutes walk from the Centraal Station. 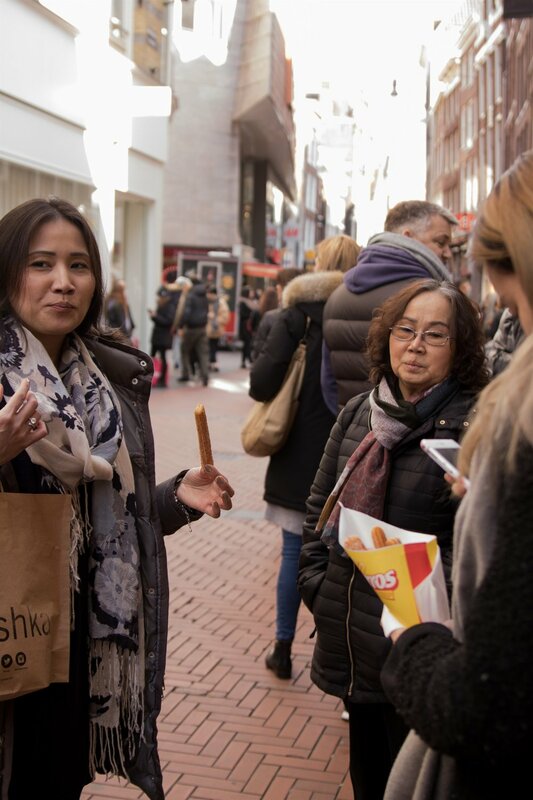 The street is paralleled to several shopping streets, and also just a few streets away from the Dam Square. Since we stayed in the Executive Room with breakfast included, the stay was a bit pricier than usual. However, putting that aside, it's important to note that the hotels in Central Amsterdam are a bit pricier than if you stayed a bit further out of the central. The public transportation is good in Amsterdam anyway, so it won't be any hassle to travel into the city centre. I'll come back to this later. As I mentioned earlier, we stayed in the Executive Room, so we had a lot of space. The room was beautifully decorated with dark wood interior and a huge black wall with a sketch/map of the city in white on it. The bathroom featured a rainfall shower overhead, which Olav used twice a day because it was so relaxing to stand under. In addition to this, the bathroom also featured shampoos, conditioner, shower gel and body lotion from the brand C.O. Bigelow. I would've brought all the freebies back if only I had enough space in my liquid bag. This place had really good ramen but you would have to be really hungry to be able to finish a whole bowl. The one I liked the most was the Karaka-Men, which Olav ordered. The gyoza here was very tasty as well. In addition to this, the prices weren't too bad and the staff was very nice. The waiter we had was very kind and assisting when we told him that our Grandma was a vegetarian. He made us aware that the noodles contained egg so that we could order rice and just the vegetarian broth instead. We actually attended a wedding here on the second day in Amsterdam. Sadly, we didn't get to taste the dim sum menu here but heard good things from family members, so we returned here for our last meal before taking the train to the airport. The dim sum was good and the prices were decent, so we would definitely come back if we crave dim sum the next time we visit. While getting hungry at the end of the day, Olav, Celine and I decided to go out for some Italian food. 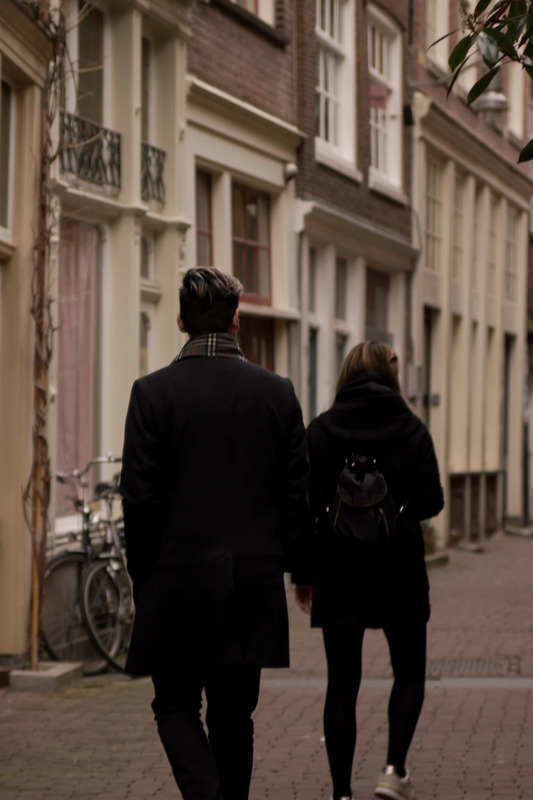 We found a small little place in an alley between Nieuwendijk and Damrak. The food was simple and homemade, perfect for a night meal when you don't know what to get. Just remember to carry cash as this place does not take credit card. The public transport in Amsterdam is really convenient. I highly recommend you using it if you want to get from point A to point B as quick as possible. They have different types of tickets, but the ones we used the most were the 1-hour tickets for €3/ticket. 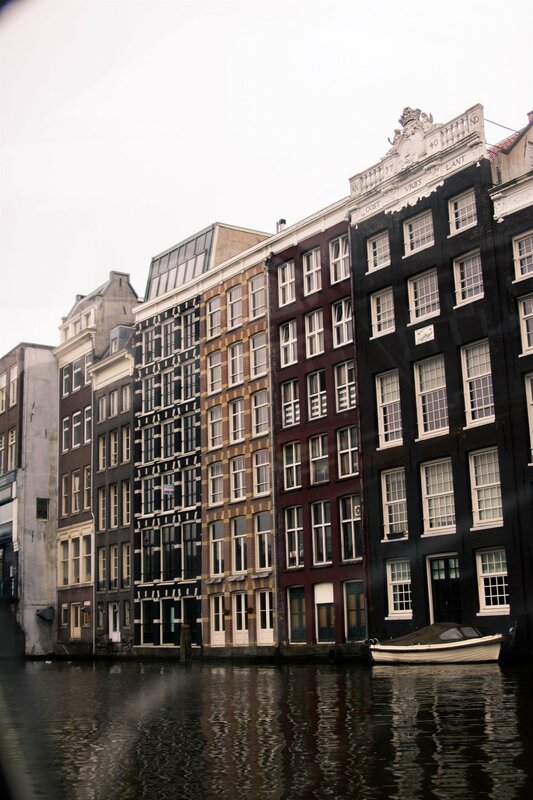 However, if you are able to, I'd recommend you strolling along the many streets and alleyways of Amsterdam instead. When you get further from the centre, you'll even cross many bridges and see the different canals. We only used the trams when my Grandma started to get tired or when we were recovering from a food coma, to be honest. Note:You can't use cash to buy tickets on the tram anymore so use your credit card. 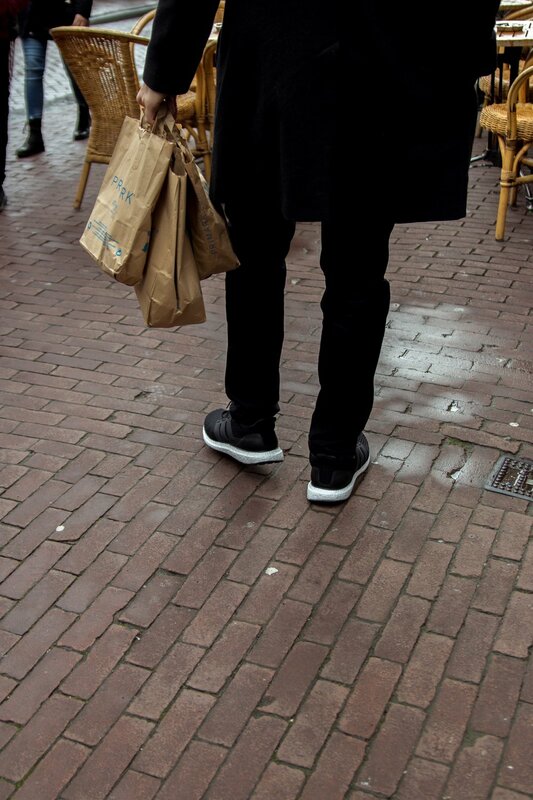 The shopping in Amsterdam was pretty good. We lived just a street away from Primark and, I kid you not, we visited that store every day. Along this street, called Nieuwendijk, you also find other stores like Bershka and Foot Locker. When you continue southwards, you'll reach the Dam Square. This is a big square in which you can take lots of beautiful pictures in front of the national monument as well as Royal Palace of Amsterdam. 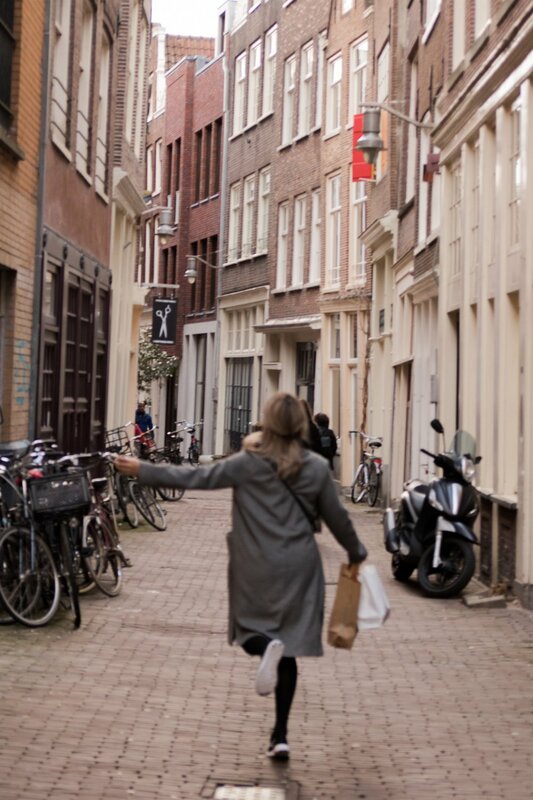 However, if you want to continue your shopping, keep walking towards the Kalverstraat, which is another street filled with shops like Pull & Bear, Stradivarius and many more. While we personally didn't visit all the amazing museums in Amsterdam, this city has maaaany of them. They seem to have a museum for everything! During March/April/May, it's also Tulip Festival time, so you'll also be able to catch glimpses of flowerpots filled with tulips all around the city. If you google it, though, you'll find a list of locations where they participate in the festival itself. Sadly, when we were there, the weather was too cold for the flowers to bloom. The most touristy thing we did during this trip was just doing one of those 1-hour canal tours. We cruised through several areas that we wouldn't have seen otherwise as they were located outside of the areas we were hanging at. Something I also found everywhere I turned, was cheese shops, or delis. I think I tasted 20 different types of cheese while there and was so bummed when I didn't have enough luggage for one. I do recommend you visiting these stores, though, if you love cheese like I do. It's an experience in itself. I did hear about a place called Keukenhof, one of the biggest flower garden in the world. It's a bit outside of Amsterdam, located in Lisse, so we didn't visit the spot, but I'll be sure to drop by the next time I'm in Amsterdam.